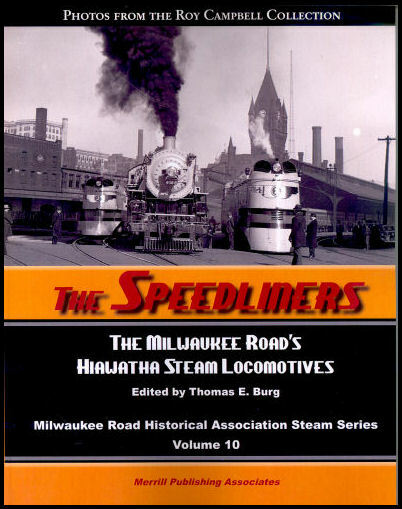 Speedliners: The Milwaukee Road's Hiawatha Steam Locomotives - This book will contain 149 photographs from the late Roy Campbell Collection, most never before published. These archival black and white photographs are of the Milwaukee Road's streamlined steam locomotives; A-Class Atlantics, F-7 Class Hudsons, G-Class Ten-Wheelers, and F Class Pacifics, plus its brightly painted convential Pacifics used as protection. Soft cover.